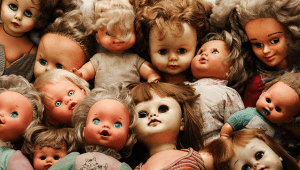 WTF – Why Collect Scary Dolls? 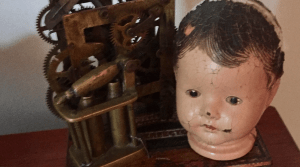 Watching Antiques Roadshow or seeing a vendor at the Flea Market with old dolls on their table really creeps me out…and I have trouble watching television shows or movies that include creepy old dolls. But for some reason, when it comes to interesting art expression, reminiscent of steam punk, I just had to buy this piece of art when I saw it. 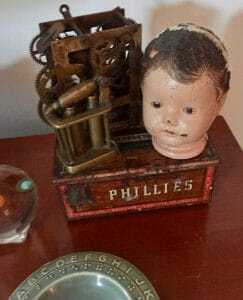 The artist did this amazing thing with this old metal cigar box, clock innards, some kind of bullet mold(?) and this creepy, disembodied doll head. 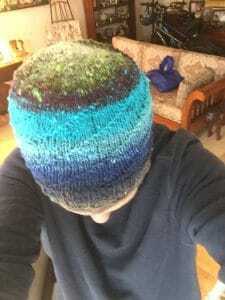 And it just seems to fit in perfectly in my house and brings me much joy and serenity. Until our security cameras caught this happening. Completely unprovoked, it just started spinning on it’s own. Do you think we’ve brought something evil into our house that should be exorcised? 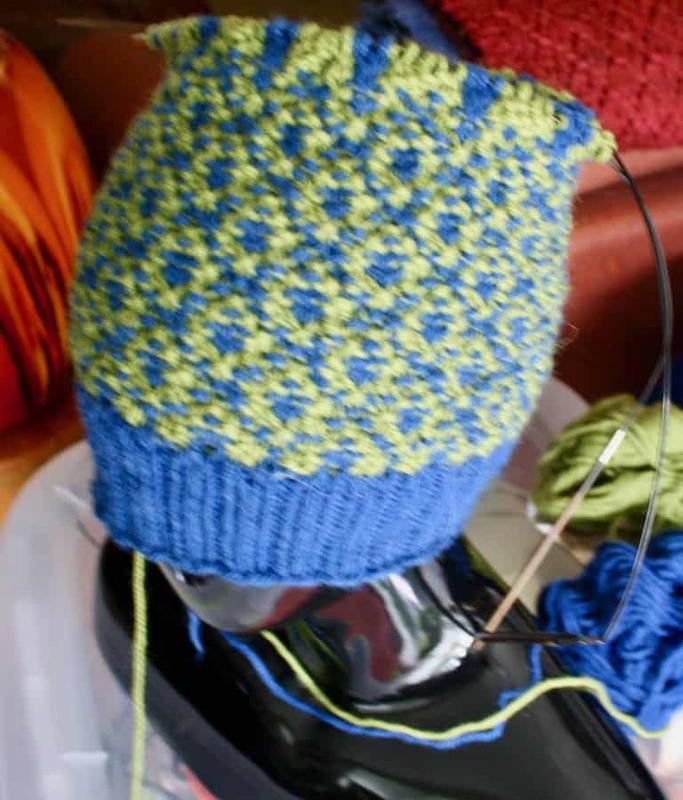 This pattern design will end up making a really nice hate…warm and beautiful (more so after it’s blocked) and is a very challenging knit for those looking to take on a complex and fun knit. 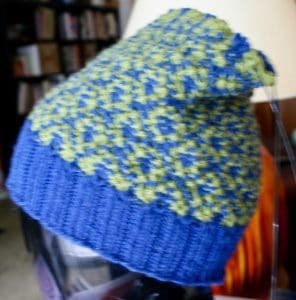 I also banged out another Spiral West Coast Watchcap last night. 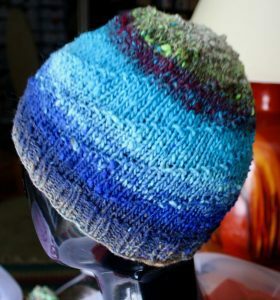 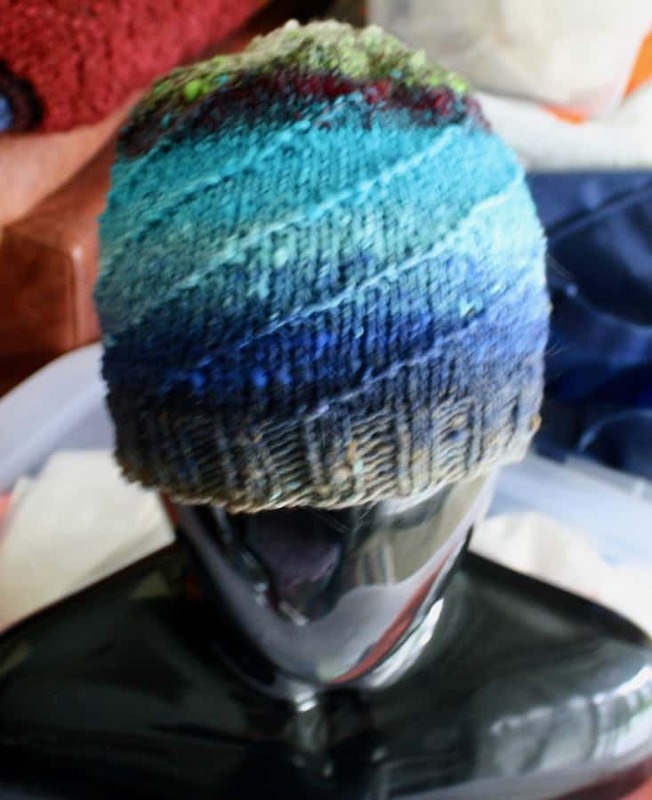 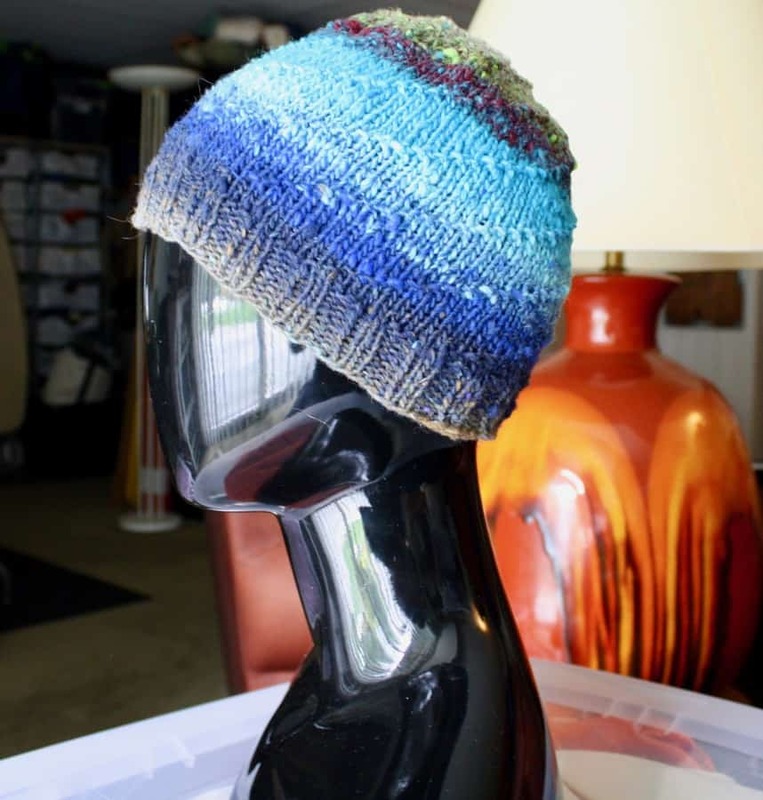 Love how the Noro colorways show up in these easy and fun-to-knit hats.